Towerwater does not only give us an abundance of fruit, vegetables and herbs, but it also challenges our creativity to use the offerings from the garden optimally. 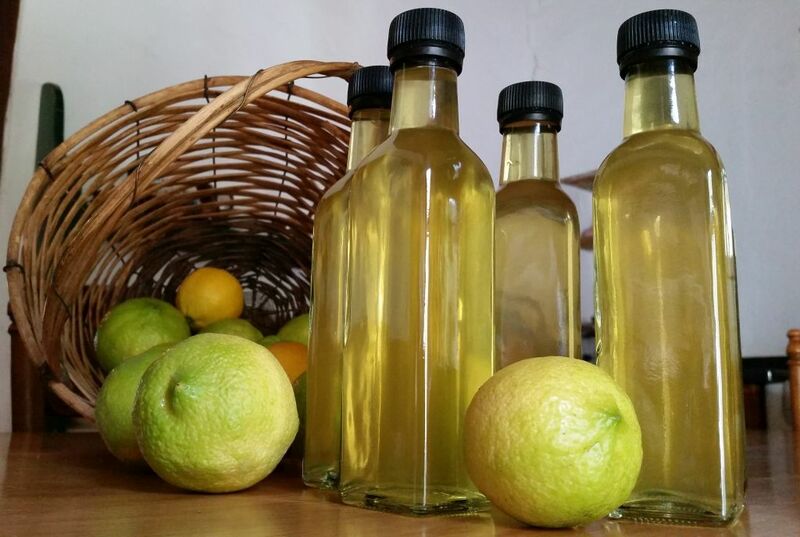 The generous lemon trees give us enough fruit to be relaxed about using it all. Growing up in a home where wasting food was not acceptable, has taught me to use as much of the garden produce as possible. 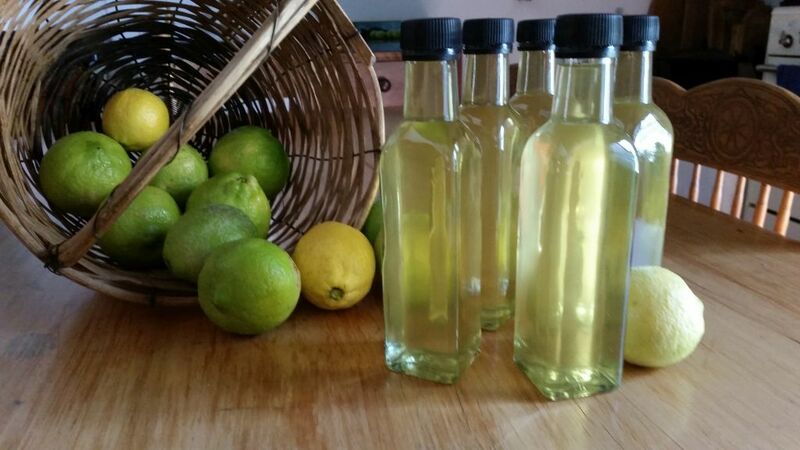 We use the Cape rough skin lemon to make lemon cordial. 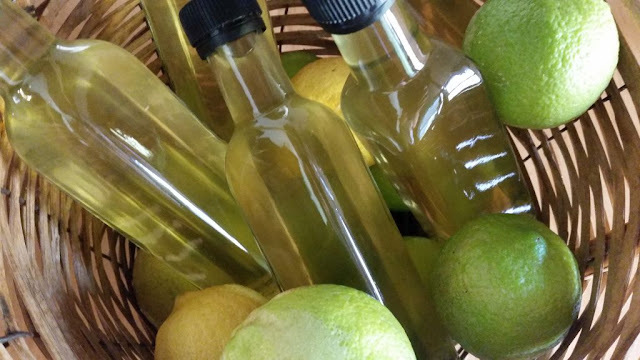 This year, I decided to use the skins for limoncello before I squeezed out the juice to make the cordials. After bottling the limoncello, I had a lot of vodka infused peels that would be perfect for baking a lemon cake. 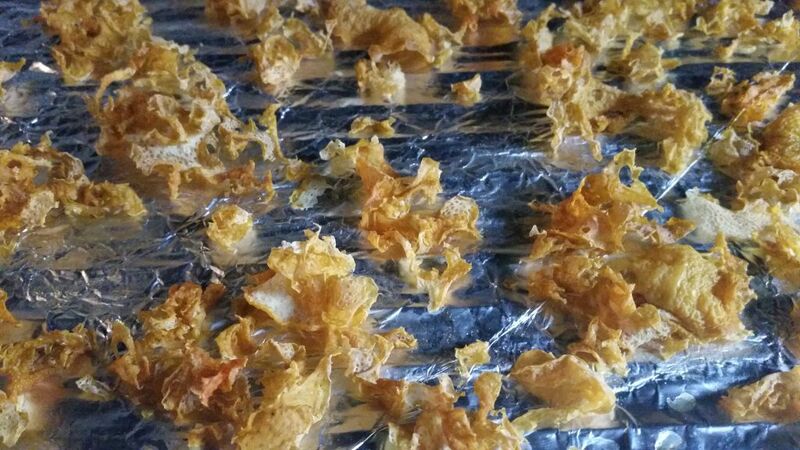 I had no time to bake a cake, and so I decided to dry the lemon peels instead. That would give me a bigger variety of options to use the dry ground peel in salads, cooking and baking. 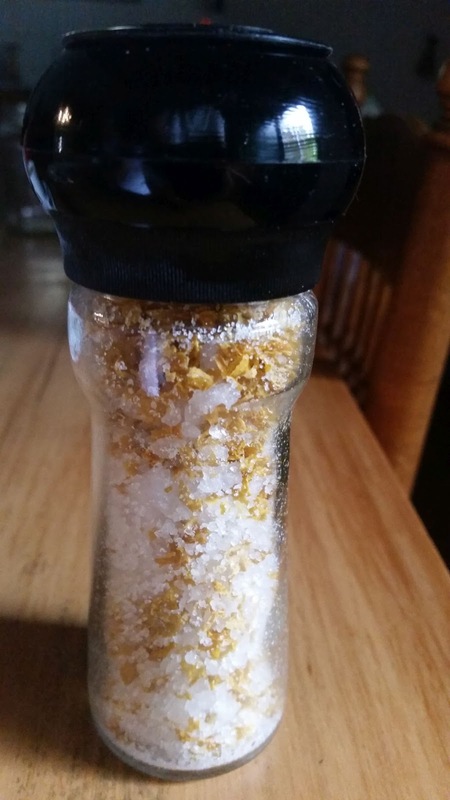 After drying the vodka infused lemon peels, I roughly ground them and added some to a salt grinder to make limoncello salt. 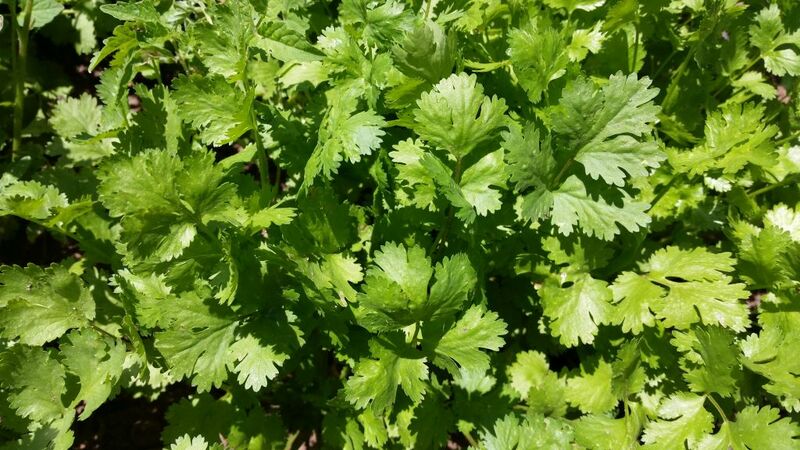 The coriander seeds seemed to struggle when I sowed them in the herb garden last year. This year, I decided to sow them in one of the vegetable beds. The result is that I have coriander coming up like weeds. I made a note to focus on companion planting when it comes to my herbs in future. With a healthy crop of coriander in the garden, I needed to use a lot to really make use of them at their most flavourful. 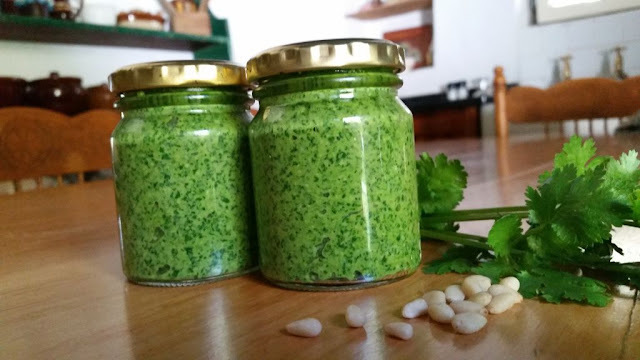 I decided to make coriander pesto. Coriander pesto brings together three of my favourite flavours, coriander, Parmesan cheese and garlic. 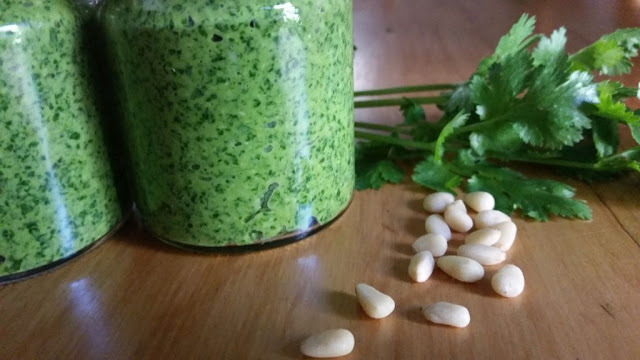 Making the pesto, filled the kitchen with the fresh fragrance of coriander, the rich nuttiness of the Parmesan and the earthy aroma of the pine nuts. 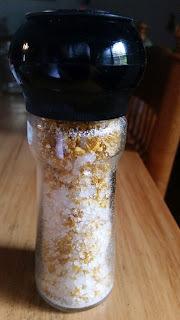 Just to add some Towerwater flavour to the pesto, I decided to use my freshly made limoncello salt instead of the plain salt required by the recipe. 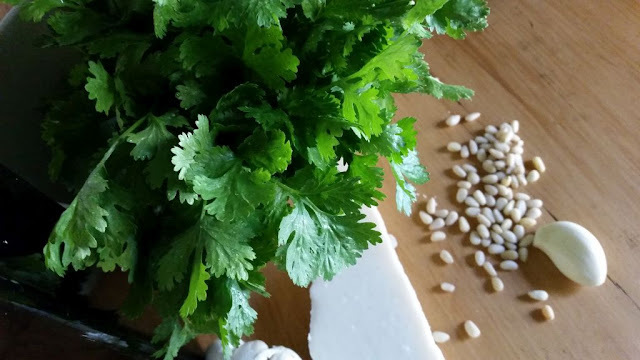 Put the coriander in a bowl and chop with a stick blender. Add the garlic and pine nuts and pulse to combine. Add about half the olive oil and blend until a paste begins to form. Add the remaining olive oil, Parmesan cheese, pine nuts and garlic. Blend to a paste. Add salt or pepper to taste. Enjoy on crostini or pasta. It is amazing how much one can use of a lemon if you think about it a little. Very interesting post thanks. It seems that the possibilities are only constrained by the extent of your creative imagination. Limoncello salt and coriander pesto! I doubt very much that mine could stretch that far!